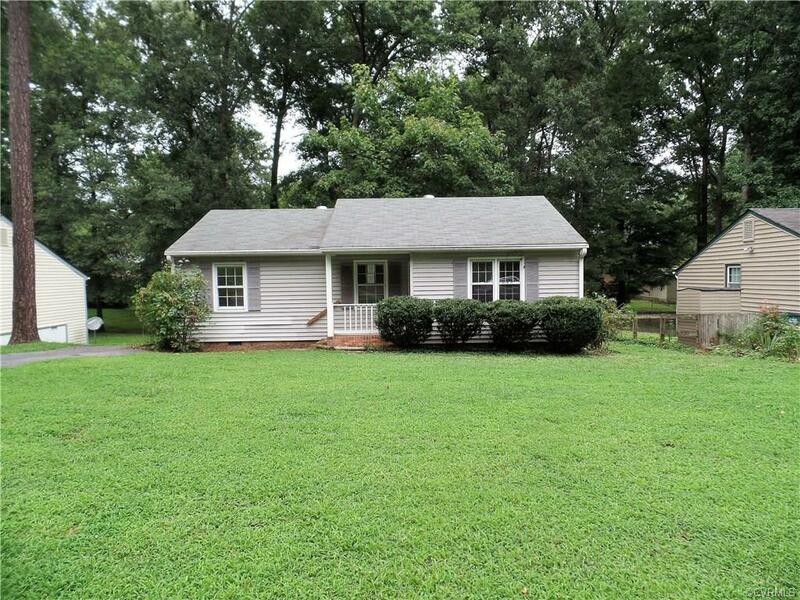 This is the LOWEST priced 3 bedroom, 2 bath home in the area! This charming home has a great room, which boasts a vaulted ceiling, recessed lights, a ceiling fan, and graceful flow into the dining area and kitchen. The kitchen is cozy and offers a built-in microwave, a pantry, and a window above the sink, which provides welcoming and ample natural lighting in this space. From the dining area, you have direct access to the screened porch, which you can easily transition to after a meal or just because, to relax and unwind amidst the amazing views of the park-like setting in the rear yard. The master bedroom offers wood floors, a ceiling fan, and an en-suite bathroom for added privacy. All of the bedrooms offer ceiling fans, which will come in handy if you like your room a little bit cooler during warmer months. The second bedroom has carpet and the third bedroom also features wood floors. Adding some fresh paint to the home and cleaning or replacing some of the carpets will help to showcase this home’s charm and appeal. HUD homes are sold as-is with no guarantee or warranty by the Seller or Listing Broker.